Austin Humphreys before losing to eventual state champ Josh Meeke. Phillip averaged 218 in match play to earn top six opportunity. Baylee averaged 207.9 in match play to earn top six bracket. Faith Welch from Hardin Valley won the state individual championship. Baylee began bowling in youth leagues in elementary school. Baylee’s brother bowled and she began bowling when she went with him to practice. Baylee has been very good at setting goals. She set a goal of 175 her freshman year and achieved that goal and achieved her goal every year as she continued to improve as she meet 175, 185, 195 and 205 along the way. Naity Haro who bowled for Walker Valley was her biggest fear she opposed an opponent in her freshman year and over they years they became good friends. Her goal this year was to make the top six at state and she accomplished that. Baylee is looking at Lee University and Eastern Tennessee State University as possible college choices. After undergraduate work, she is looking for continue her education in medical field. Phillip began his freshman year with a splash with a 197 bowling average and this year he finished with a 204 bowling average. He began bowling competitively in eighth grade. His mom used to babysit for the Carter Family, who own Crystal Lanes Bowling Center so he go to bowl at an early age. He really enjoyed the time at the state tournament, especially time spent with teammates during the tournament. He is looking at bowling in college after graduation next year. 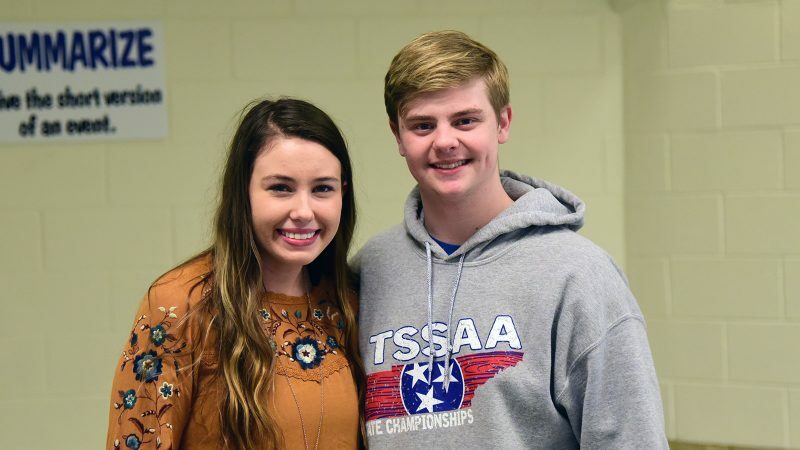 He will possibly have to relocate unless he bowls for Tennessee Wesleyan. Bowling is still a new sport for most colleges. One school Phillip is interested in is Morehead State in Kentucky. His brother Timothy was also a very good bowler for the team, who graduated last year. Phillip also played golf and football during his youth.